This is highlighted by the success of sites like Instagram, Facebook, Snapchat and Pinterest. People love images and visual content. They are more emotional than text and have become an essential part of marketing. Here we offer some suggestions on how to improve your brand recall through images. Your firm’s visual identity needs to support your brand personality, letting your stakeholders know what you stand for. When you create your firm’s visual identity, you will be deciding upon the key elements of the brand, including the firm’s logo/s, colours, typography, stationery and the written word. 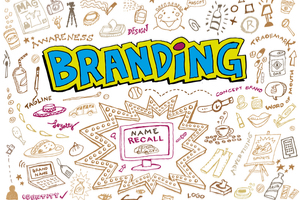 If your visual identity is consistent, the brand recall will be easy. imageseven’s Visual Identity Program is an eight to ten week program designed to create your new visual identity or re-define your existing visual identity. You can find out more here. Consistency leads to recognition and helps to build a brand’s status. A firm’s visual style guide should be used as a reference tool by all employees and suppliers. Encourage your employees to refer to the style guide on a regular basis. Eventually, it will become second nature. Is your firm’s logo consistent on your website, email signatures, social media accounts, communications, signage, advertisements, publications and merchandise? Always ensure your documentation/marketing material is branded with the up-to-date brand logo in the correct format and style. Consistency is key and will be appreciated by your stakeholders and beyond. “It’s important that the content that you share consistently speaks to your core brand values. Find an aesthetic and identity that defines your brand and stick to it.” – Joe Kennedy, director of contemporary art gallery and successful start-up, Unit London. Infographics offer a bright and colourful way to display information using your firm’s colours and style guide. They are an easy, eye catching and effective method of communicating with your stakeholders and will be absorbed more effectively than plain text. Using infographics in conjunction with your firm’s logo will allow stronger brand recall and message absorption for your stakeholders and beyond. Having a consistent style of photography can do wonders for your brand personality. Ensure you use a reputable and recommended photographer and be specific about the ‘mood’ you are looking for. If possible, use the same photographer on a regular basis, keeping your visuals up-to-date and in line with your brand identity. Find out more in our blog – How to manage a successful photoshoot. With professional photography that represents your firm’s brand identity and the consistent use of your visual style guide and firm’s logo, your message should become easy to interpret with minimal effort. With excellent visuals, your written message can be minimal. Give your stakeholders what they want in the simplest way possible - visuals. Grabbing the attention of your firm’s stakeholders can be easy when you attach visuals to your messages, regardless of the platform. As long as your visuals are branded appropriately. If this is the case, your firm’s brand recall will be easy!